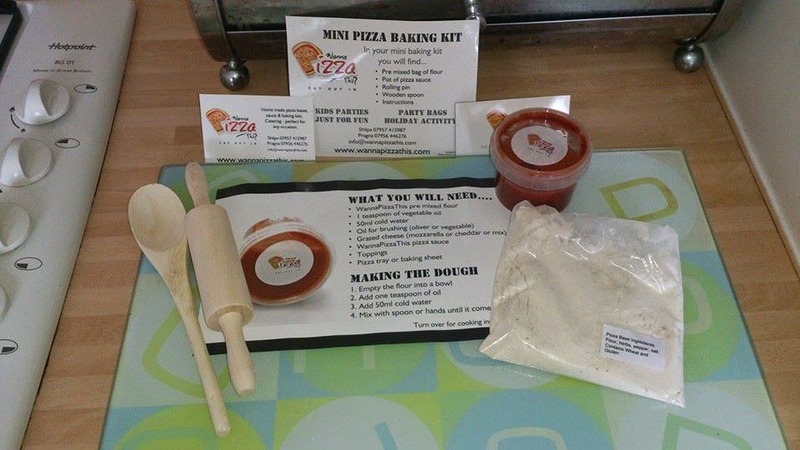 We were recently given the opportunity to try out a mini pizza making kit from the lovely people at WannaPizzaThis? and we jumped at the chance as James loves pizza and it seemed like a fun activity to do during the half term. The mini pizza kit (this is the one we were sent out to try!) which contains ..
Wannapizzathis also give you the option to add extras to any of their kits at a small addition price! Here is the kit we were sent out which contains all the items listed above in the Mini Pizza baking kit. The kits comes with everything you need (apart from a small amount of oil, water and your choice of toppings). I loved the addition on the little rolling pin and wooden spoon as these were perfect for James to use and can be kept for future use! The instructions included were clear and easy to follow. We then rolled out the dough (I helped him a little with this but James was very keen to have a go by himself with his little rolling pin) and added the pizza sauce which was included and smelt DELICIOUS!!! 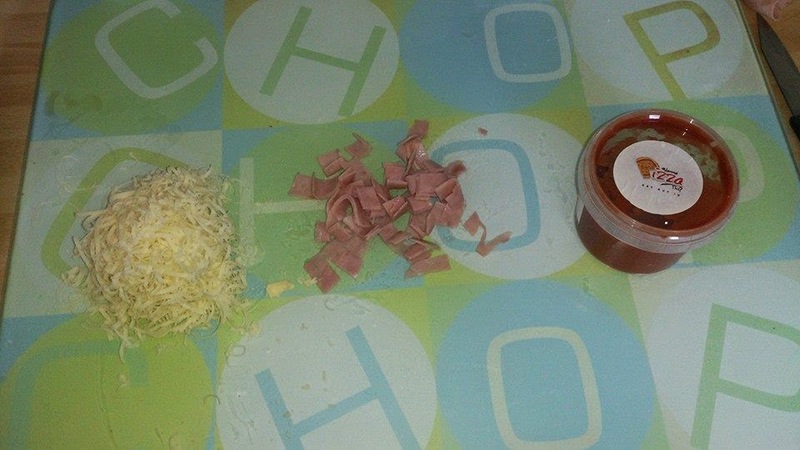 and the toppings, James went simple and chose ham and cheese for his pizza. We then placed the pizza into the oven for 10-15 minutes to cook. The smell was amazing and smelt just like walking past a pizzeria! It looked and smelt amazing and the dough was crispy but still slightly soft on top. The sauce didnt soak in or disappear so meant the pizza still have a lovely oozy top YUM! 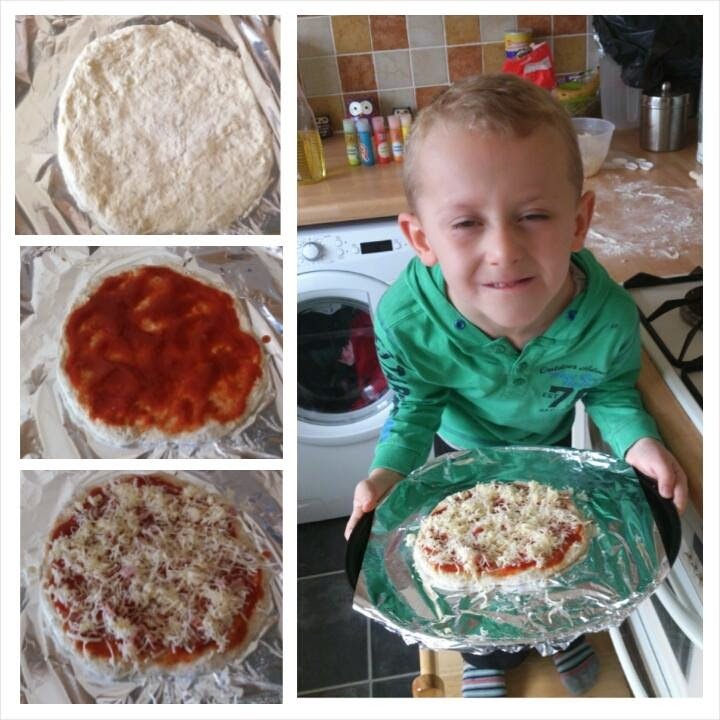 James had great fun making his pizza and loved the fact he could choose his own toppings and roll out the dough. The kits are fab as they include everything you need apart from a few small ingredients you would usually have around the kitchen anyway. 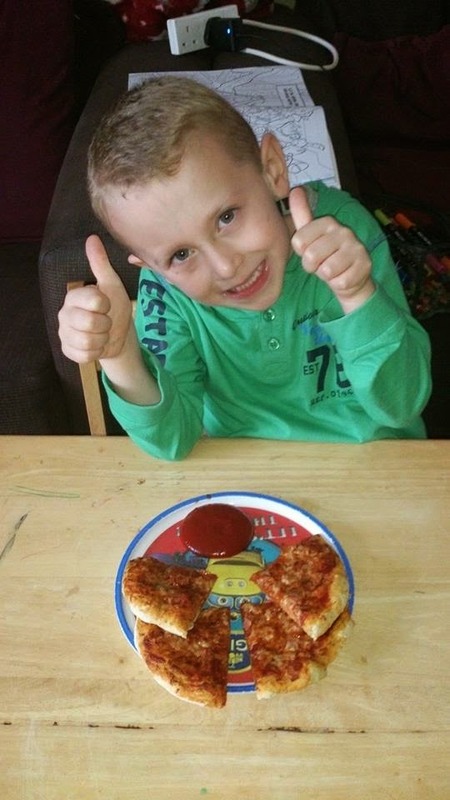 I think the largr kits would make a great idea for a family to enjoy doing together to really get everyone involved and you could serve the pizza with some salad and garlic bread as a lovely family meal that everyone has been involved with making! The kits get a big thumbs up from James who gobbled down the pizza in record time! 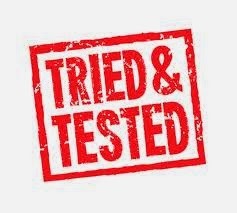 You can check out Wannapizzathis on Facebook and twitter here ..
Or on there website here .. WannaPizzaThis website where you can find out all about their fresh ingredients, the baking kits and where you can buy yours from!! Making pizza with the kids is such a fun thing to do! WannaPizza This sounds like an interesting concept, will have to check it out! Sounds like a great kit. My son loves making pizzas! This is a lovely idea. Always fun to get the kids involved when making dinner. Delicious looking pizza! We love making pizza, it is a easy and great way to get children involved in making dinner and also educational watching the pizza dough come together and rise :) Looks lovely, i'm all hungry now! We recently made our first homemade pizza, love the idea of this kit. It's so lovely to see kids enjoying cooking. Pizza kits sound like a perfect way of getting kids to cook. 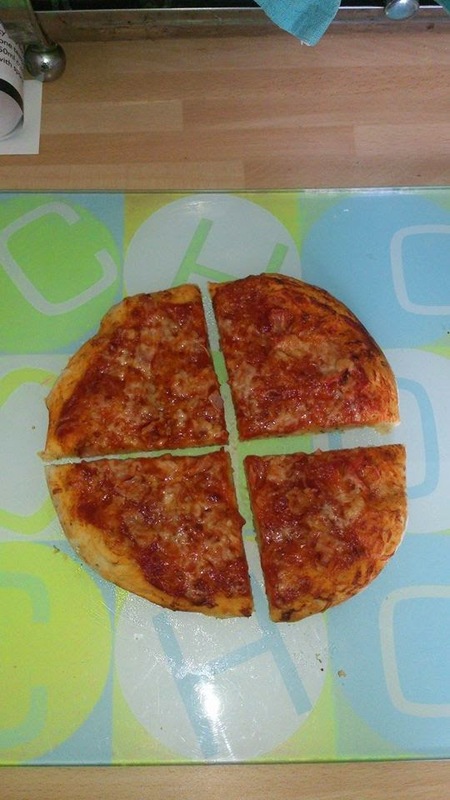 The final pizza looks delicious. We are a pizza loving house and these look great - love the price too....they'd make a lovely gift. This is brilliant idea and I think a great way to start getting children more interested in cooking too!